Are you ready to create your future with network marketing? Before you get started, you must know where you are going. 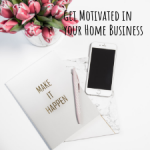 WHY you started your MLM business. WHERE you want to go in your life. HOW to get there with a blueprint. Goal setting in network marketing will help you understand the WHY and WHERE. Only then can you implement a blueprint to get there. Every day, put yourself into a state of mind as if you’ve already achieved your network marketing goals. Imagine what that would feel like. When you use this type of visualization, you are conditioning your body and mind to move past whatever is holding you back in your life. Let’s get started with creating your future in network marketing by setting achievable goals. 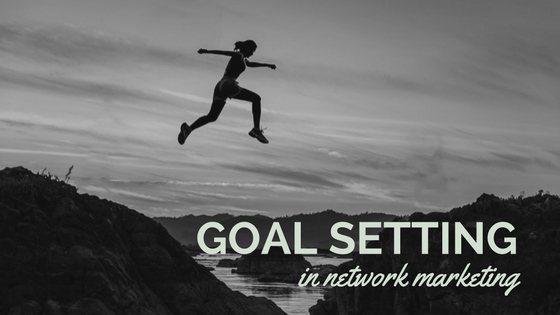 Breaking down your goal setting in network marketing is the key to achievement. What you want is going to set the stage for the rest of the exercise. The WHY is at the heart of network marketing goal setting. If you did not want anything, you would not have any good motivation to move forward. No, money is the real motivator. It’s how the money can help you change your life. What do you want this goal? Your reason should be extremely strong. So strong in fact that NO obstacle will get in your way. Setting your MLM goals is not a 5 minute exercise. Take your time, it may even take you a few days to truly understand your heart’s deepest desire. Step 3: Who must you BE to reach this goal? The greatest thing about achieving your goals is network marketing is not the income that you’ll earn, but the person you will become in the process. You can do this by spending time each day on personal development. What type of person will you become? How will you think and treat others? What will motivate you? Step 4: How will you get it? Now that you have defined your 30-day goal in MLM by understanding what you want and who you must become, how will you get there? For example, in network marketing, you need people to talk to. So the HOW at this stage could be a goal of talking to and sharing your MLM business with at least 2 people per day. If you want to conduct your business online, you might be creating blog or video content at least 3 times a week. What are those activities that will get you there? I hope this goal setting blueprint helped you. And as the leading training and education portal for online business owners, I highly recommend that you check out MLSP for YOUR continued growth and education.